Academy Award winning actor George Clooney will be at the Omaha Visitors Center this spring filming for the new movie, Up in the Air. Oscar nominated Juno director Jason Reitman wrote the screenplay and will direct the Paramount Pictures film. 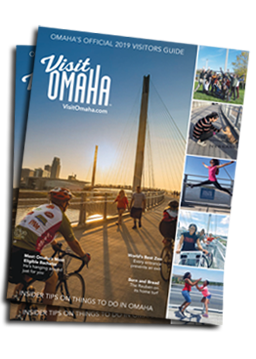 "Reitman and his crew have been to Omaha several times scouting locations and fell in love with the city” said Dana Markel, Executive Director of the Omaha Convention and Visitors Bureau (OCVB). Up in the Air is based on the novel written by Walter Kirn about a constantly traveling corporate downsizer obsessed with collecting his one millionth frequent flyer mile. The main character Ryan Bingham, played by Clooney, endures some quirky twists and turns on his journey. This isn&apos;t Clooney&apos;s first brush with Omaha. He won an Oscar nomination for his role in Michael Clayton, which includes a quick visual reference of Omaha. Clooney is expected to be in Omaha filming Up in the Air for three days. Attached please find photos of the Omaha Visitors Center for your use. The Visitors Center is located in downtown Omaha at the corner of 10th and Farnam.